The Untergunther is a clandestine group with a mission to restore the neglected heritage in Paris. It's a member of the UX, a coalition of groups sharing complementary activities, which include The Mouse House and La Mexicaine De Perforation. 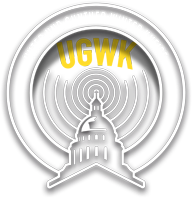 In September 2005, the Untergunther installed a workshop, called UGWK, at the top of the Pantheon, previously used as a clandestine theater by La Mexicaine De Perforation. Then, with their own funding, the Untergunther self-initiated the restoration of the WAGNER 19th-century clock. This monumental timepiece has been working in the mausoleum of the great men of the french nation during over a century. During the 1960s an employee of the Pantheon, apparently tired of winding this clock up once a week, sabotaged its gears. The Pantheon administration ignored the clock's existence after abandoning it for so long. The clandestine restoration work was done just before irreparable decay. Jean-Baptiste Viot, a professional clockmaker, directed the year long esthetic and mechanical restoration process. Without much effort to hide the project, the restoration took place under the nose of the "concerned" authorities. The Untergunther usually does not announce its activities. Nevertheless, when restoration was complete in September 2006, they decided to inform the administrator Mr. Bernard Jeannot giving him the opportunity to rewind the clock, if by chance he was disposed to. The CMN (the governmental department in charge of the Pantheon) feared that restarting the clock would reveal its own inability to maintain the heritage it is responsible for. And left the clock unused, in spite of its perfect working condition. On December 24, 2006, The Mouse House conducted a transmission check on the lantern of the Pantheon. This is when, out of curiosity, they asked Mr. Viot if it was possible to wind up the clock and set it to the correct time. That same evening, he wound up the clock causing it to chime. This exposed the CMN clumsy stance to deny the whole story. A few days later, the stubborn administration asked a clockmaker from the company Lepaute to re-sabotage the mechanics, making headlines in The Times. Furious that they exposed their own incompetence, CMN decided to sue the Untergunther. The trial took place November 23, 2007, at the 29 penal court in Paris. During the process, CMN attorney Mr. Gomez, using advanced scientific calculations asked for 48,300 euros (70,000 US dollars) in damages. Supporting his case, he outrageously accused the pirate clockmakers of degrading the outside gate of the monument. This exposed his ignorance of how locks work and honestly, general ignorance. Prosecutor Anne Benejean herself qualified the accusations as "stupid" and asked for all charges to be dropped. Even though he disapproves any clandestine actions, beneficaial or not, President of the Tribunal Eric Meunier called CMN's charges "Absolutely incomprehensible" and confirmed they be dropped. Too overwhelmed and contrite to comment, officials Ghislaine Santoni ("head security" of the Pantheon) and Pascal Monnet, (new administrator replacing Mr. Jeannot) failed to respond to questioning by journalist Clarisse Fabre with Le Monde. On the other hand, Mr. Lazar Kunstmann, spokesman of the Untergunther, accepted to comment on these last facts reported in The Guardian three days later, but also in The San Francisco Chronicle.